For loyal fans of Bassnectar, it’s safe to say that the only thing on the brain lately has been the constant anticipation of DejaVoom. With his first international festival taking place in two weeks, all anyone can do is hope and dream of catching that super secret West Coast LoFi set. Well, dream and manifest the hope that it becomes déjà vu. 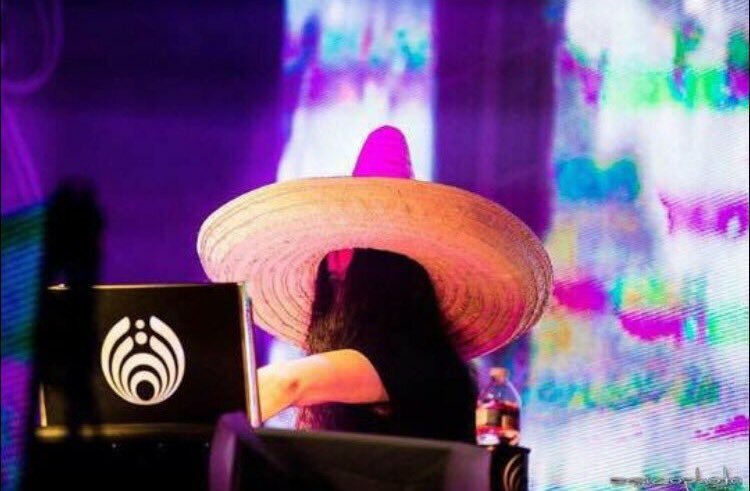 With Bassnectar packing up his traveling circus and heading down to Mexico at the end of the month, the man behind the freak show, Lorin Ashton, stepped into one of his most beloved online fan groups to discuss a range of topics. It’s no secret that Ashton has an affinity for regularly speaking to his fanbase live and direct. However, the sheer amount of details he’s dished today is a baptismal blessing for all those who follow the demigod across the land. Thankfully, a few fans have sifted through all the viral madness to find the meat of what Ashton had to say in the talk-back, and we’ve streamlined it even further here. From DejaVoom details and that coveted LoFi set, to Bassnectar’s next Reflective and Naux Faux EP releases, to confirming the locations for Freestyle Sessions and BassCenter XII, here are the top 10 things we learned from Bassnectar’s live Q&A. Night One’s theme will likely be DEEP DIVE. Think Okee Night One + Freestyle Dreamtempo + West Coast LoFi wrapped into one 90-minute set. Themes for Night 2 & 3 are still in the works. He’s focused on making the event the OPPOSITE of Fyre Festival. The event itself is indeed a bit of a Trump protest. You can definitely catch Lorin walking around the resort, especially at Open Decks Sessions. Oh, and he says this year’s event is a testing grounds for DejaVoom 2020. The Haven will feature free daytime yoga and smoothies + a late night laser pool. Also, more details on The Sanctuary, LoFi Room, Deja Room, and Voom Room. …the only certainty is there is no certainty. The location will be where everyone least expects it… in a broom closet… probably at 4am. If you want to catch the set, don’t walk around with expectations — but look for the guy with the lampshade on his head. Lorin wants to deliver not just one LoFi set, not TWO sets, not even THREE sets… but MULTIPLE undisclosed sets. So the chances of you catching one [“if it happens”] are better than you thought. If you are one of the lucky ones, it’s like joining a dance party collaboration. No spectators, no phones. No pressure to perform, no pressure to attend. It’s just you and Lo and random tracks and everyone feeding off each other. 3) He’s shooting for an early-mid April release of Reflective Pt. 4 EP. …and it will feature collabs with Hailo, Peekaboo, and Jantsen. …as well as an updated version of “Leprechauns Arise” from Mesmerizing The Ultra, which he played live at BassCenter XI. He had to split Reflective 4 into two parts because it turned into a full-length album. 4) He’s halfway through Reflective Pt. 5, and he’s shooting for a summertime release. …most likely in time for Electric Forest. It will feature collaborations with LUZCID, Dorfex Bos, Moody Good, and hopefully Gnar Gnar and DIGITAL ETHOS. The theme of the entire Reflective series is collaboration. So he nixed his original offerings from Pt. 4 and rolled them onto the fifth EP… or perhaps sixth? The Naux Faux Pt. 2 EP will land mid-summer or late fall. Freestyle and BassCenter XII will be held exactly where you thought. Freestyle Sessions will return for the third year inside Broomfield, Colorado’s 1st Bank Center. He’s trying for another undisclosed location/secret event. 7) He’s signed Dorfex Bos, ill.Gates, and Jantsen to Amorphous Records…and that’s only for starters. 8) He’s verbally confirmed he’s playing Live Nation’s new festival, End of The Rainbow. The event is Memorial Day Weekend at The Gorge. …because he’s trying to stay pretty much unplugged. Don’t you realize that he’s on the road so consistently that he’s already on tour? …and into his freshman year metal band, called DECAY OF HUMANITY. He’s also collaborating with UFO!, which explains why he dropped the Bro Safari x UFO!’s “ET Finger” at NYE 360. ….and he’s open to collaborating with Lindsey Stirling. Featured photo courtesy of RUKES.